Designed by Livia Polise using NOAA and USGS data. The Regional Greenhouse Gas Initiative (RGGI, pronounced ‘Reggie’) is the first mandatory market based program in the United States to reduce greenhouse gas emissions. RGGI is a cooperative effort among the states of Connecticut, Delaware, Maine, Maryland, Massachusetts, New Hampshire, New Jersey, New York, Rhode Island, and Vermont to cap and reduce carbon dioxide (CO2) emissions from the power sector. RGGI compliance obligations apply to fossil-fueled power plants 25MW and larger within the ten-state region. RGGI establishes a regional cap on the amount of CO2 pollution that power plants can emit by issuing a limited number of tradable CO2 allowances. Each allowance represents an authorization for a regulated power plant to emit one short ton of CO2. Individual CO2 budget trading programs in each RGGI state together create a regional market for CO2 allowances. It’s no surprise that Virginia Republicans voted to keep Virginia out of this compact. Virginia electricity generation depends far too much on fossil fuels and this could leave them at a disadvantage in such a market. Producers in the Commonwealth might have to purchase permits from other firms, and this would cut profits – or force them to raise rates. Too few Virginia politicians want to even have this discussion, since it would require either standing up to regulated utilities that provide a lot of campaign funding support or justifying rate increases to constituents. But climate change is real and the associated sea level rise will have costly impacts in Virginia, especially in Hampton Roadsand along the Chesapeake Bay and Rappahannock River. This threatens both national security and Virginia’s economy. 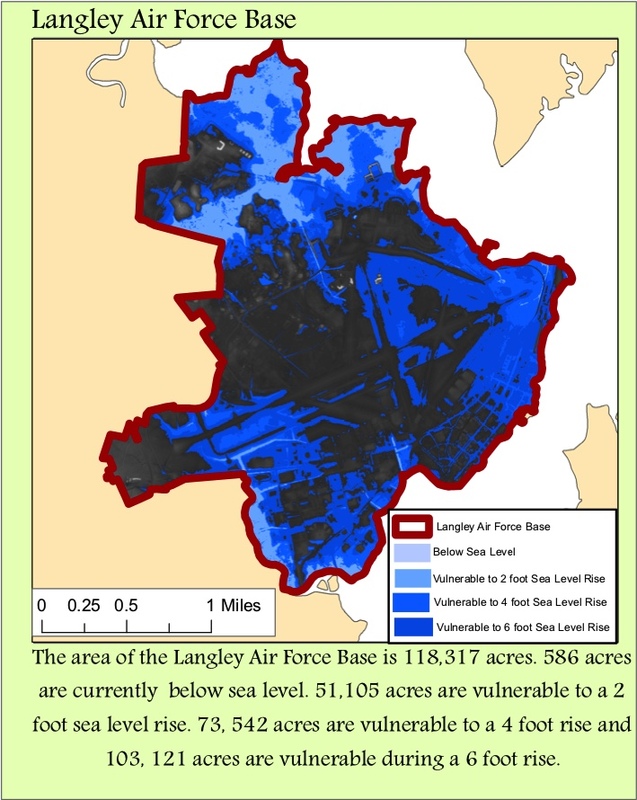 Even minor storms now flood facilities and threaten operations at Langley Air Force Base, the Dam Neck Annexat Naval Air Station Oceana, and Naval Station Norfolk. In as little as twenty years simple high tide will flood some parts of these bases and moving them inland would divert scarce military funding and hurt Virginia’s economy. The people who live there and see it every day have started taking action. It’s time for the General Assembly to do the same.